After coming down from the elation of recently winning my first Ebay bid, I was checking other items on auction from the seller and found the remastered 1982 Sheree Brown album, “The Music“. This album featured the beautiful song “On My Way Home” which was a staple of my early 80’s late night quiet storm grooves. I would sit on the porch for hours listening to Randy Crawford, Dexter Wansel, Joe Sample, Phyllis Hyman and others. Over the years, I would look for anything by Sheree Brown but the only place I could find her was providing outstanding background vocals and songwriting for Patrice Rushen. Sheree put out two great Capitol albums, “Straight Ahead” (1981) and “The Music” (1982) and then seemed to drop off the airwaves. She continued songwriting during the 90’s and was considered one of the best sessions musicians. 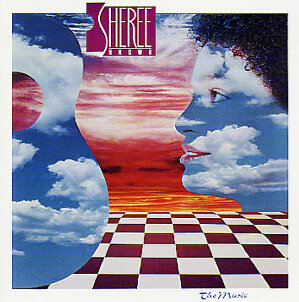 In 2001, Sheree and Patrice Rushen collaborated with some new, young musicians on the album, “Beautiful Woman, The Album.” It is just good to know this truly underrated and wondefully talented singer/songwriter is still making music especially in an industry where even the best of voices can disappear after a couple of hits. Now don’t worry, I will not be outbidding anyone on Ebay for “The Music” album since it is available on Dusty Groove. Read more about Sheree on the Soultalking website and her personal website, Baby Brown Entertainment Group. This entry was posted on Thursday, December 5th, 2002 at 11:45 pm. It is filed under Music Reviews and tagged with r&b, Sheree Brown, soul, The Music. You can follow any responses to this entry through the RSS 2.0 feed. I have just listed an album on Ebay by Sheree Brown titled “Straight Ahead”.